I live in Thailand and try to see Thai movies when I can. Some of them have been excellent--Ong-Bak, Suriyothai, Tropical Malady, Tom Yum Goong, Mor Jeb, Luang Phii Theng, to name a few. The Bodyguard doesn't fall into the excellent category. It falls into "what the hell is going on and why are all the Thai people laughing" category. This movie is supposed to be a comedy. 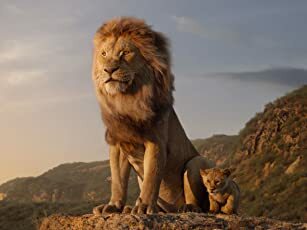 The English subtitles were particularly bad, I speak more than a little Thai and many times I knew the English was not good because I understood the Thai. I didn't laugh once with the rest of the audience--all Thai, I was the only Caucasian (farang). Then there were the 3 or 4 times I did laugh out loud, and I was the only one laughing! This movie is of almost the "slapstick" variety, chock full of "inside" jokes (being on the inside in this case means being Thai or understanding the Thai language better than I do) and silly humor. It stars one of Thailand's most popular comedians, Piphat Apiraktanakorn, more commonly known by his nickname "Mahm" (usually spelled Mom, but he's a guy and not a real mom that I know of...) I think this guy is great and funny. This lends credence to my theory that the English subtitling was just awful. Mahm has a 3 minute cameo in "Luang Phii Theng" that is the funniest part of the movie. Try one of the other Thai films before going to this one. 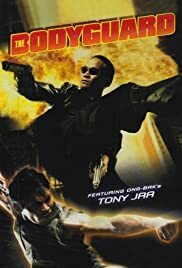 Especially Ong-Bak, probably the best martial arts film I have ever seen--And Tony Jaa is the best martial arts movie fighter I have ever seen (and he does it all without stunt double, wires, or computer effects). If you see one Thai film this year, make it Ong-Bak, not the Bodyguard!